For Consumers Sink the Stink is currently distributed throughout the world by leading Scuba shops, live-aboards and resorts, white water rafting outfitters, surf shops and and many web based vendors catering to the water sports industry. If you are having trouble finding product, do not hesitate to call or e-mail. On-Line Suppliers: River Gear “We are here to help you find the whitewater equipment and river gear that you need, for your upcoming river trip” Northwest River Supplies - “At NRS, our purpose is to treat you, the customer, in the way we like to be treated. In many ways the company feels to us like a family, and we hope that you, too, get a bit of this feeling when doing business with us.” For Dealers Scuba Sink the Stink is widely available throughout the world. Trident Diving Equipment located in Chatsworth, CA is our exclusive domestic and international wholesale distributor for the scuba industry. Trident has thousands of scuba dealers located throughout the United States, Canada, Mexico and most international dive markets. Rafting and Paddlesports Man of Rubber was our second distributor appointed and is exclusive for White Water Rafting. They are a wholesale distributor located in Eastern Tennessee white water country. “Man of Rubber River Gear exists because the founders love rivers, love the outfitting industry, and most especially, enjoy and appreciate the people who are drawn to river running and working in outfitter companies.” Paddlesports Warehouse is a wholesale supply company for canoe, kayak and float tube rental companies. Paddlesports Warehouse has been providing products and services to retailers and rental companies for over 32 years, at low prices with fast & friendly personal service. 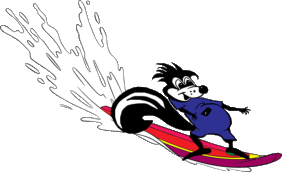 Surfing Eastern Surf Supply located in North Carolina is our primary surfing wholesale distributor suppling surf shops on the East Coast. Ecooz, based in Rotterdam, is our exclusive European distributor for the kite and board surfing market.